North Central Railway Recruitment 2019 – NCR job notifications for 21 Group C posts against Sports Quota (Open Advertisement). The detailed eligibility and application process are given in below. Group C (Level 4/5): Minimum a Degree or its equivalent examination passed from a recognized University. For Technical Posts: Candidates shall have passed Act Apprenticeship/ITI. The Certificate of Act Apprenticeship/ITI must be approved by NCVT/SCVT. Sports Qualification: Check in given notification. Selection will be based on the performance of Trail, evaluation of Sports achievements, evaluation of educational qualifications, etc. Only the candidates declared FIT in the Trail will be considered for next stage. Mode of Payment: Online mode by using Internet Banking or Debit Card/ Credit Card. 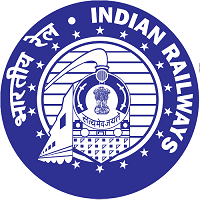 How to apply for North Central Railway Recruitment 2019? All interested and eligible candidates apply for this position in online latest by 28 January 2019.